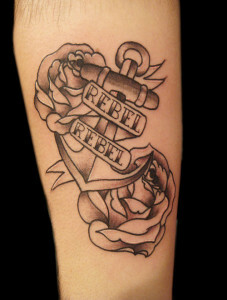 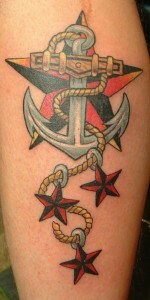 Initially there was a popular belief that individuals like navy personnel, seamen or sailors opt for the anchor tattoos. 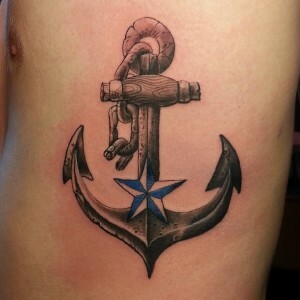 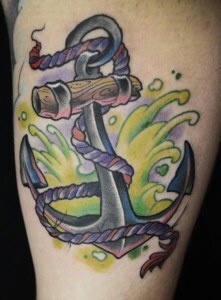 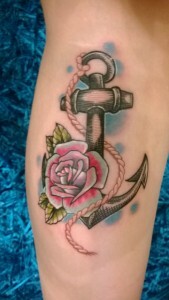 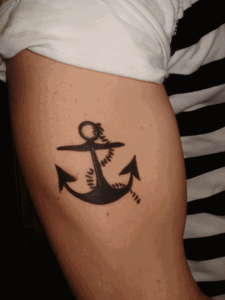 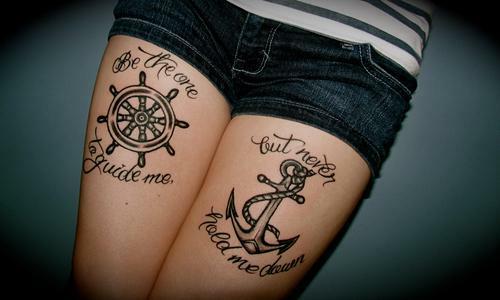 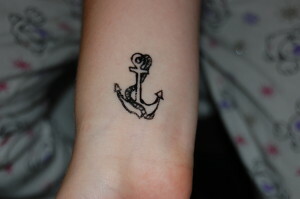 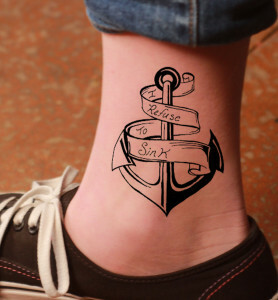 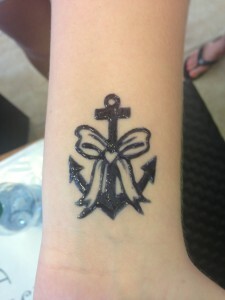 But with the increasing popularity of anchor tattoos the perception has changed. 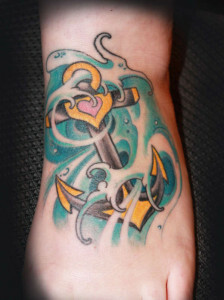 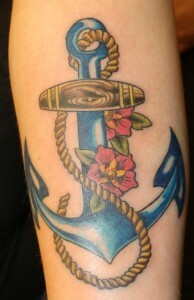 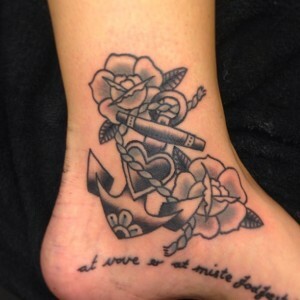 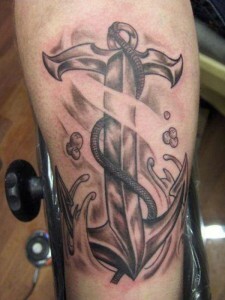 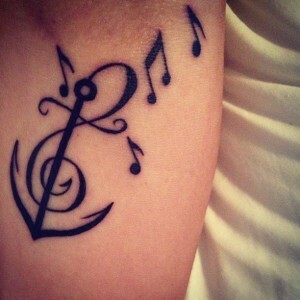 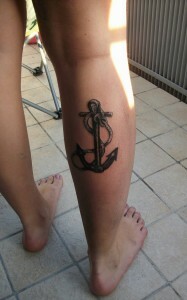 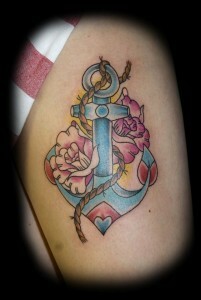 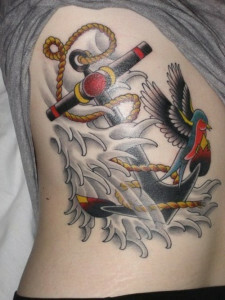 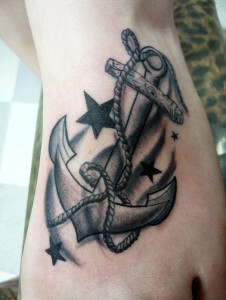 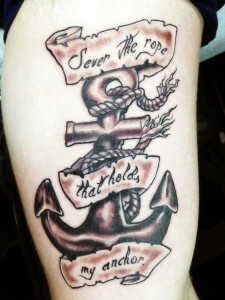 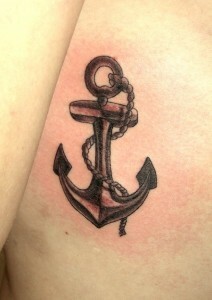 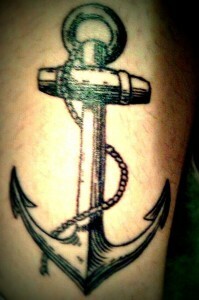 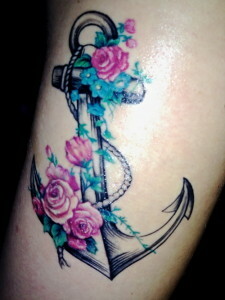 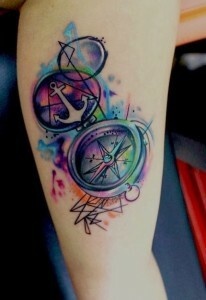 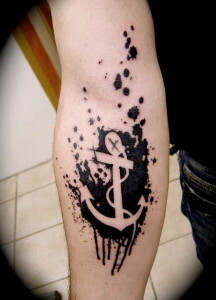 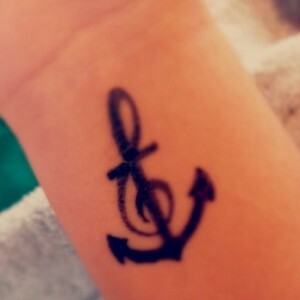 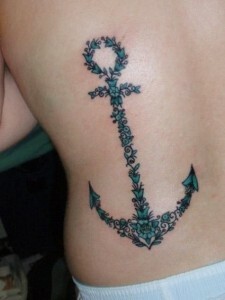 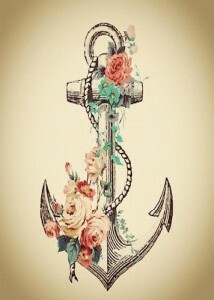 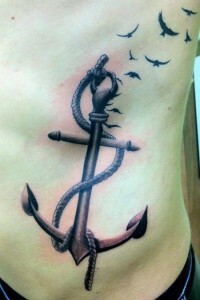 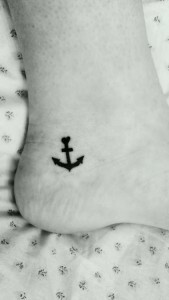 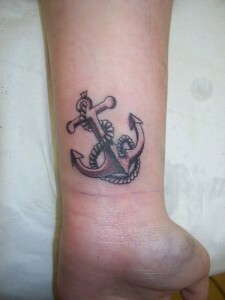 The meaning of an anchor tattoo goes beyond just the aesthetic appeal, as it has emotional and spiritual meanings too. 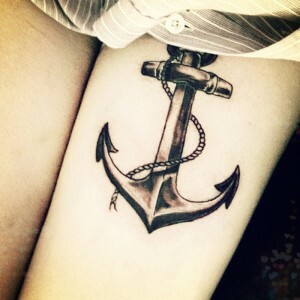 The spiritual significance of the anchor tattoo means not giving up in times of struggle or abuse. 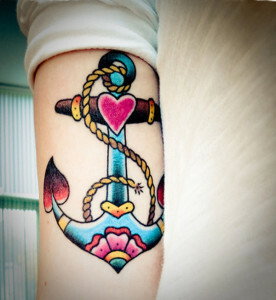 The emotional significance of the anchor tattoo means being the anchor of someone’s life or considering someone an anchor in your life. 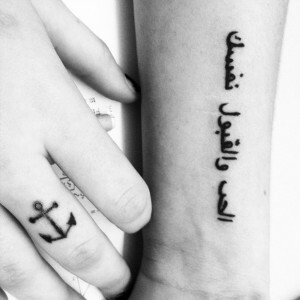 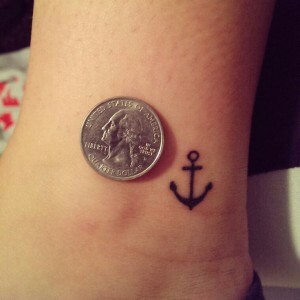 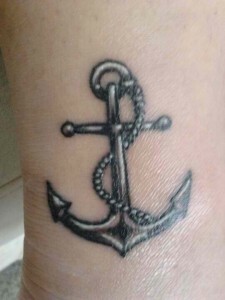 There are many who simply pick up the anchor tattoos, because they have string connection with the sea. 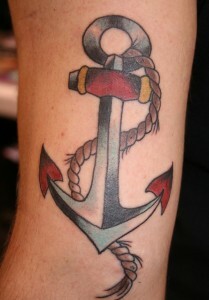 An anchor is used to hold the ship in place, the symbol of an anchor is associated with strength and stability. 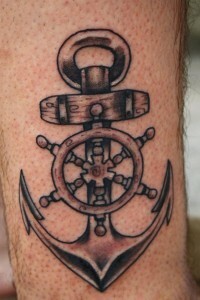 It symbolises the innate mental strength that keeps in your place, no matter how much struggle you face. 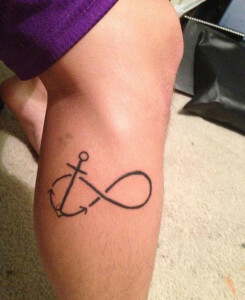 People normally tend to pick up an anchor tattoo to remind themselves the struggles they have faced and regardless of the factors tried to uproot them, they stood straight. 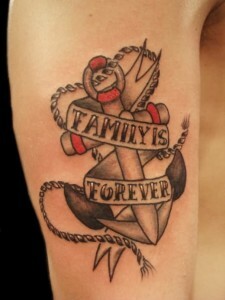 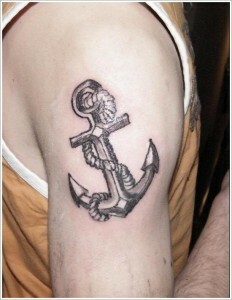 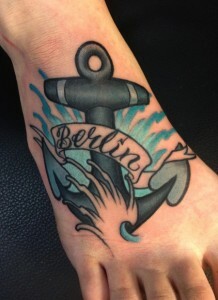 Some anchor tattoos are often dedicated to the near and dear one who played a pivotal role in their lives. 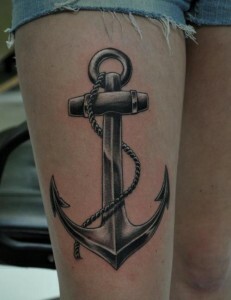 You can simply pick up the anchor tattoo for number of reasons, no matter what it is, the design will always hold a deeper meaning. 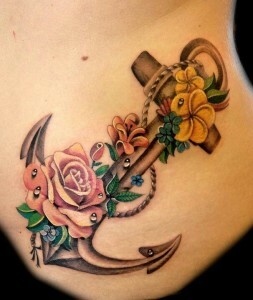 There are multitudes of anchor tattoo designs for men and women, while the tattoo designs for men are little too macho, the designs for women has a feminine touch.